It’s that time of year again. The time to food shop for all the relatives coming to your house to eat. And you don’t even have to be Italian for this holiday which is lucky for you because Italians eat around every occasion. We even make up occasions so we can feed you. Just ask my mother. I was in the grocery store the other day getting all stocked up on Prosciutto, cheese already cut into little cute cubes so I don’t have to do it, chocolate cake because what’s a holiday without chocolate, and of course the turkey, that no one will really eat because we all like the side dishes better, but the Coffee King looks good holding a carving knife so why stop a good thing? 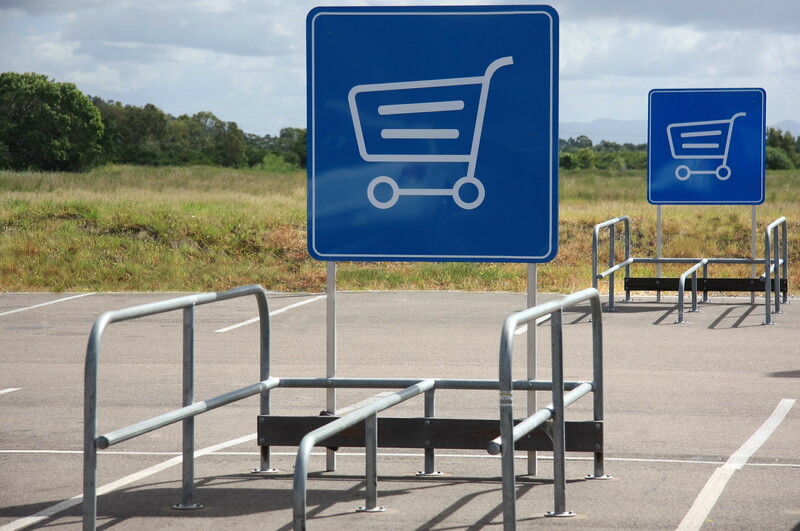 I loaded up my shopping cart to resemble a volcano about to erupt and dragged the cart into the check out line. I’ll be honest here for a second. I always check to see who the cashier is. I’ve shopped at the same food store for three years now. I’m getting to know who works the registers and who packs a mean bag. In other words, if I don’t like the way you bag I don’t stand in your line. Got it? So many registers were open and I was tired of pushing and shoving my massive load around so I only checked the first few registers I passed and then settled on an older woman with curly hair not much taller than the belt. I figured that could me in a few years so why not stop? Her name was Mary. Hey, like my mother’s and they were the same size. I wonder if Mary the cashier was Italian too? I should’ve asked. Well, hang on a second, if she was Italian she wasn’t from my group because Mary was a terrible bagger. We know I’m slightly OCD and I like my things lined up neatly in a row, so I put my groceries on the belt grouped by category. Freezer stuff together, non-food items together, bread together. Follow me? Good. I do this because it makes putting the groceries away easier and it keeps the ice cream from turning to cold soup in July. Most cashiers understand this. Some even compliment me on it which means they have the same disorder I do. Not our friend Mary. Mary put the carrots with the crackers. What? Carrots go with the other fruits and vegetables. Didn’t she notice where on the belt they were? The carrots can’t stay cold next to a box of Wheat Thins. And she put the meat with the milk. Now I know my Jewish readers are cringing right about now. Meat should be in a separate bag in case it bleeds on the other groceries. No one wants to be bled on. Trust me. She put the box of garbage bags with the bread. Do I really have to explain this? Typically, I rearrange the bags when people like Mary drop items into the plastic all whilly nilly, but I controlled myself. It’s Thanksgiving. Maybe she was having a bad day or maybe it was her first day on the job or maybe she hates her job and was taking it on my dinner rolls. Either way, it didn’t matter. What matters is I’m able to load up my cart with all the things my family wants to eat like mushrooms shoved into the stuffing or mashed potatoes and gravy and buy it for them. What matters is the Coffee King gets to carve our turkey again. What matters are my Noodges. I pushed my cart through the parking lot and to my car hoping Mary has a nice Thanksgiving even if she can’t bag groceries. And I’m wishing all of you and yours a Happy Thanksgiving too. Just beware of Mary. Why Would Anyone Want to Cook? I only use the ones with the word “cake” in the title. The other day I was at the nail salon and the young lady helping me says, “I love looking at recipes. Cooking relaxes me.” I had to control the eye roll because I hate to cook. Yup. That’s right. And my comment is usually followed by “what kind of an Italian are you that you don’t like to cook?” Pop-Pop would often ask me that question especially because I also hate tomato sauce. I will have you know I am a perfectly good Italian who likes garlic, olive oil and sharp, stinky provolone cheese. And of course, cannolis! My husband realized when he married me he chose the only Italian woman who can’t and doesn’t cook and I married the only poor Jew. The first time I tried to cook for Husband, back when he was just Boyfriend and I still wanted to impress him, I wanted to make macaroni. What else? Well, who knew you had to wait for the water to boil BEFORE you put the macaroni in? Pop-Pop came into the kitchen yelling and waving his arms, “What are you doing? Move out of the way. Let me fix it.” And so he did, which was a good thing because Boyfriend returned. And now I know to boil the water first. It’s all good. Baking is my thing. Just like Pop-Pop. Since Pop-Pop was my most important male role model (Ma, did you see I added “male”?) and my favorite person (sorry, Ma) it only stands to reason I would want to be like him. And cannolis are way more fun to eat than liver. Not that anyone ever made liver in my house. More like stuffed peppers. Nope, I don’t understand why anyone would want to cook. I also don’t understand why anyone wants to jump out of airplanes, skydive, and ride rollercoasters. I wonder if I equate cooking with reckless activities? Cooking can be dangerous once knives and fire are involved. Then there’s Nan. She walks around with spatulas strapped to her hips. She equates feeding you with love. The more you eat the more you love her. And in reverse, if she cooks your favorite meal for you she loves you. Which is why she always makes eggplant parm for my husband and nothing for me. That’s no joke. She used to make stuffed peppers for my sister’s old boyfriend. He was Italian. I haven’t seen a stuffed pepper since they broke up. Sixteen years ago. I think Nan is still in mourning. Don’t tell my brother-in-law. And no, he’s not Italian, but we don’t hold that against him. Well, I can’t speak for Nan. 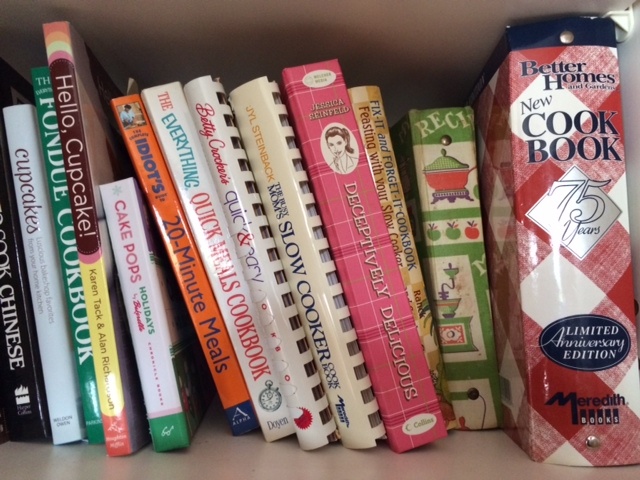 Tell me, faithful reader, do you like to cook? Why? 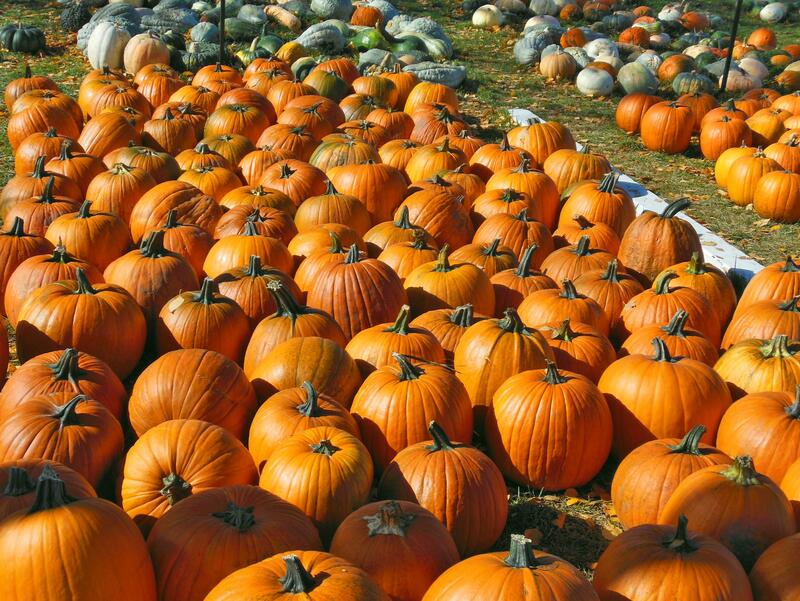 Awhile back I talked about loving all things pumpkin. Eating anything pumpkin is truly one of my favorite things about fall besides jewel toned leaves, a crisp snap to the air, cozy cardigans and the smell of wood burning. Since I was at lunch today with a friend and we were having great conversation over food I thought I’d combine my two favorite food items, pumpkin and cupcakes and share a recipe with you. And you too can be like the my crazy Italian family and show your love by feeding your family and friends. Did I ever tell you my grandmother holsters spatulas to her hips? I’ll save that story for another time. Preheat oven to 350 degrees. Line a standard 12 cup muffin pan with paper liners. In a bowl, whisk together the flour, baking powder, baking soda, salt, cinnamon, ginger, allspice, and nutmeg. In another bowl, whisk together the pumpkin puree, sugar, oil, and eggs. Add the flour mixture and whisk to combine completely. Stir in the chopped pecans. Divide the batter evenly among the muffin cups, filling each about three-fourths full. Bake until toothpick inserted into the enter comes out clean. 22-24 minutes. Let the cupcakes cool in the pan on a wire rack for 5 minutes. Transfer cupcakes to a wire rack to cool completely. Frost and enjoy!!!! 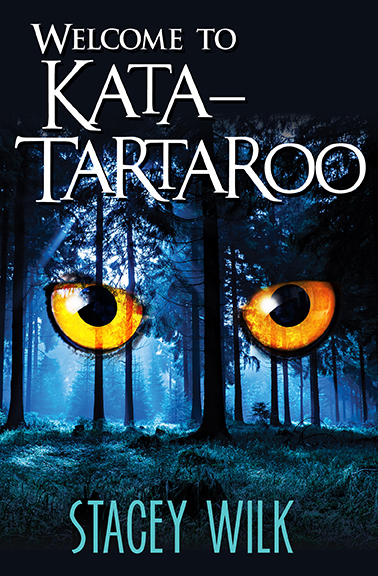 I also wanted to let you know Welcome to Kata-Tataroo is now part of the Kindle Matchbook Program. What that means is if you purchase a print copy of the book (or have done so recently) you can get the Kindle version for only $1.99. The print copy has to be purchased from Amazon. If you’re thinking about buying the book as a gift why not get the Kindle version for yourself? 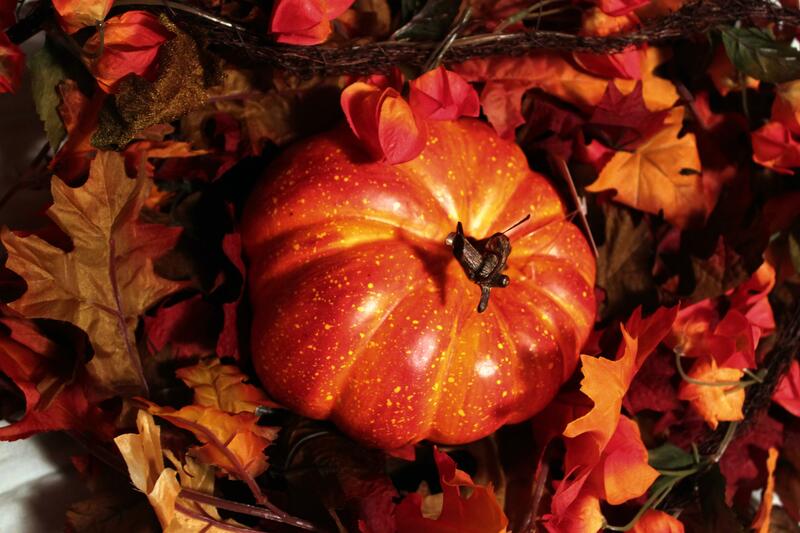 What foods do you enjoy having this time of year? Do You Have Obsessive Behavior? I’m not a drinker. Never have been. Not even in college. My husband always said I was a cheap date. I guess that’s why he married me. Several years ago I worked out with a trainer, which I loved. I know, I’m weird. I like to exercise, but working out with the trainer was when I started counting calories. I had gotten so good at it I could eyeball a plate of food and guess the calories within in a few points. Too bad you can’t make a living doing that. I may not drink, but I love my desserts. Cookies, chocolate, cheesecake, and anything with pumpkin in it. Needless to say, this time of year I’m in my glory because there are pumpkin cookies, chocolate and cheesecake. The only problem is what to eat first. And of course, there’s that issue of the calories. It’s hard to turn off the calorie counter when I’m staring at a pumpkin muffin from Dunkin’ Donuts. I was recently at a writer’s conference and during the cocktail reception a woman asked me why I didn’t drink. Well, to have the desserts, silly. If the look on her face on the way to the bar was any indication, she did think I was silly with my declaration. Oh well. To each his own, as they say. I admit, I may be slightly obsessive about the counting calories thing, but then I’m also a little obsessive about the amount of words I write a day (which is never enough for me.) I’m obsessive about being a good parent, which I struggle at. I’m obsessive a lot of things. It goes with the Type A personality. What am I learning here? Maybe I should just eat more pumpkin cheesecake and stop counting the calories. I’m Italian. 100%, grandparents off the boat, Italian. I hate tomato sauce. What kind of Italian, are you? You might ask, as my grandfather used to in his most loving, accent filled (that I, my mother and sister never heard) way. If love is blind she’s also deaf to accents. But I can’t help disliking tomato sauce. Macaroni and sauce? Not for me. Oil and garlic? Now we’re talking. See, I’m really Italian. You should see my hands move when I speak. What else makes me Italian? My hair is pitch black. Well, it used to be many moons ago. Now it’s dark brown with lovely caramel highlights. Maybe I should rename them canolli shell color? Canollis. Now that’s Italian heaven. I sound like I’m from Brooklyn. I’ve never been to Brooklyn. My mother’s name is Mary. Every Italian family has one Mary. We have twelve. Mary, Maria, Rosemary. Oh, yeah, Rosemary was creative. Snuck that Mary right by us. I know every superstition ever created. My grandmother has her PhD in superstitions. Don’t put new shoes on the table. Bad luck. Honestly, I’d rather put the new shoes on the table instead of the old, dirty ones. You must leave the house from the same door you came in. Otherwise, bad luck. I’ve tried to trick my granny into going out another door. She’s having no part of that. She can dodge and weave better than a basketball player. She doesn’t even wear sneakers. When my BFF asked me to be godmother to her new baby I was pregnant. My superstitious grandmother told me I couldn’t accept her offer. Bad luck. “Bad luck for who,” I asked. She just shrugged. That explained everything. I love Italilan bread and the way my crazy family thinks if they yell they get their point across better. I wouldn’t change a thing about the way we add an “a” to the end of every word or our fears of black cats. I love us for who we are and all the pasta filled traditions we share. Just hold the tomato sauce.